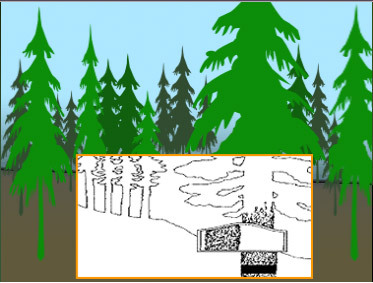 The Variable Probability Sampling course is offered as a service to foresters. Two popular methods of timber cruising will be covered in detail: variable-plot sampling and 3-P sampling (Probability, Proportional to Prediction). The course is suitable for relative beginners as well as those with experience who like to brush up on the principles and up-to-date computation techniques using hand calculators and microcomputers. Field exercises using both techniques are an important part of the course. Participants are invited to submit problems they have encountered in either field application or office computation in variable-plot sampling for a special session during the first part of the program. All such questions may be submitted in advance to the short course director, Dr. James Kiser, before March 1, 2019. Monday, March 25 – Registration & Program Begins at 1:00 p.m.
Friday, March 29 – Program Adjorns at 12:00 p.m. Course fee includes lab and field work, as well as a light breakfast and lunch each day. Cancellation requests must be made in writing by email to conferences@oregonstate.edu no later than two weeks prior to the workshop start date in order to receive a refund (minus a $50.00 administrative fee). Requests made after that time will not receive a refund. Substitutions may be allowed. If you have any questions, please contact OSU Conference Services at 1-800-678-6311, 541-737-9300 or conferences@oregonstate.edu. 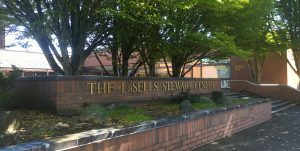 ** New Location**The LaSells Stewart Center, 875 SW 26th Street, Ag Leaders Room, on the OSU campus in Corvallis, Oregon. For directions to the LaSells Stewart Center, AG Leaders Room click here. Rain clothes will be needed for the field problems in the event of wet weather. Also recommended are a clinometer, a diameter tape, and a wedge prism (30 BAF will be used during the field problem). A Spiegel Relaskop would be helpful. Guest parking is available in the parking lot across from Richardson Hall. When parking on Campus, Visitor Permits must be displayed on the dash of your vehicle at all times. If the permit is not displayed you may receive a parking violation. It is recommended that permits be purchased online prior to your arrival. However, there are kiosks located in each of the visitor parking lots to purchase a permit on site if needed. To purchase a permit online prior to your arrival, click here. Once you complete the payment process a confirmation letter will appear and one will be sent to your email. This confirmation letter will serve as your permit. Print the confirmation letter and place it on your dash while parking on campus. All vehicles without permits will be ticketed. Parking questions may be directed to 541-737-2583. Go here for an OSU parking map. Note: if you are staying at the Hilton Garden Inn, parking is complimentary. You can leave your car in the Hilton parking lot at no charge. Campus Transportation via Beaver Bus: The Beaver Bus is a complimentary shuttle service, that makes regular stops throughout campus. More information on the shuttle can be found here: http://parking.oregonstate.edu/shuttle. *Please note that participants are responsible for arranging and paying for their lodging arrangements. 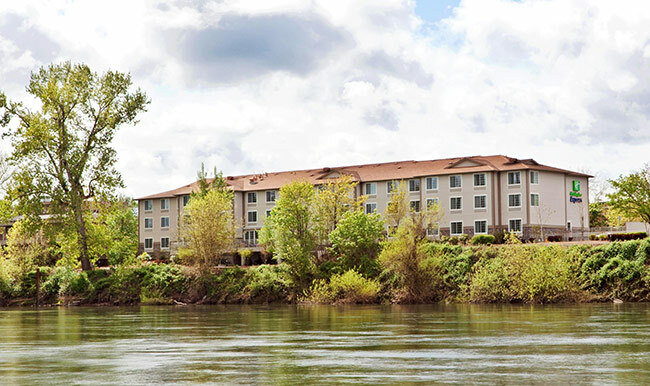 The Hilton Garden Inn is located adjacent to Oregon State University. A small number of rooms have been set aside for the Variable Probability Sampling Workshop group. The rate is $142 per night + 10.8% tax per night. Please make your reservation by March 4th, 2019 to get the group rate. 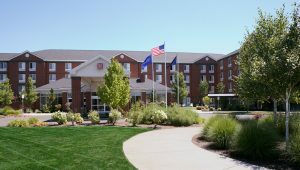 To book a reservation, call the Hilton Garden Inn at 541-752-5000 and mention you are attending the VPS course at OSU. The Holiday Inn is a little further from campus and a small block of rooms have been set aside for our group at a special rate of $132 + 10.8% tax per night. To see the group rate on the hotel’s website, please enter the reservation dates. Book your room by March 4, 2019 for the group rate. To book a reservation, call the Holiday Inn Express at 541-752-0800 and mention you are attending the VPS course at OSU. © 2019 Variable Probability Sampling, all rights reserved.